Shopping in Zelienople | Visit Butler County Pennsylvania! The charming town of Zelienople allures visitors with its charm, picturesque views, gorgeous historic homes and has become a shopping destination! Zelienople’s Main Street is lined with a variety of unique and trendy shops, family-owned restaurants and more! 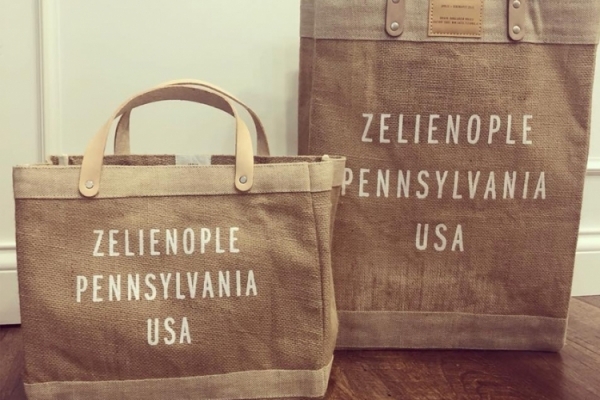 Zelienople features one-of-a-kind stores ranging from specialty shops like Stocking Stuffers Plus, Curio and Dapper Bicycle to boutiques like Serendipity Zelie, Boutique 16063 and Eva Bryn Shoetique. Stocking Stuffers Plus is a shop for all seasons, not just gifts for the holidays. This store has a quaint country atmosphere and specializes in Billy Jacobs prints and local sports teams memorabilia. Curio is a unique gift shop and art space that carries handmade items by western Pennsylvania artists, fine art, and collectible toys. If you’re searching for the perfect bike, then head over to Dapper Bicycle. They have a large selection of bikes, parts and accessories and even offer repair service on all makes and models. Serendipity Zelie is a charming boutique that features a variety of jewelry, home accessories and one-of-a-kind gifts that are meaningful. Boutique 16063 is sure to have something to fit every woman's style. From clothing, accessories and shoes, this fashionable store has it all. You’ll find the latest shoe trends and accessories at Eva Bryn Shoetique. This charming new shop offers a personalized shopping experience in a luxurious atmosphere. Mathew Jewelers is the perfect place to go if you’re looking for something that really dazzles! A 4th generation family-owned business since 1947, Mathew Jewelers carries a wide variety of jewelry and watches and offers custom design pieces as well. If you’re on the hunt for customized clothing, then head over to the T-Shirt Loft. They specialize in screen printing and embroidered wearables and accessories. While you’re out and about, be sure to venture out to Baldingers Candy Store, The Perfect Piece Home Furnishings and The Enchanted Olive; all less than a mile from downtown Zelienople. 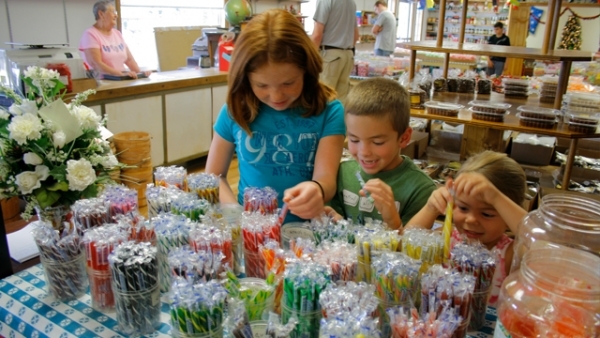 A trip to Baldinger’s will make you feel like a kid in a candy store (literally)! The store features an old-fashioned crank cash register and has penny candy that actually costs one cent. Besides candy, Baldinger’s has the largest collection of cookie cutters around and Old World Christmas ornaments. Located in the same building is Mazza Wine Shop, a family-run winery that’s been producing fine wines since 1972 in the Lake Erie Region. The wine shop features wines from Mazza Vineyards and South Shore Wine Company. The Perfect Piece Home Furnishings is a furniture and home decor resale store that features everything from vintage, classic, shabby-chic and traditional furnishings all under one roof! They’re always adding new pieces to the showroom floor, and it’s exciting to see all the unique items. 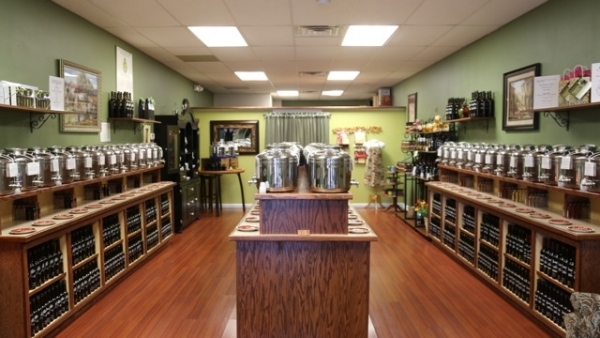 The Enchanted Olive is a mesmerizing store filled with over 60 varieties of fresh extra virgin olive oils and balsamic vinegars from around the world. You can sample the oils before purchasing and everything is bottled on site. They also carry specialty foods and unique gift sets. 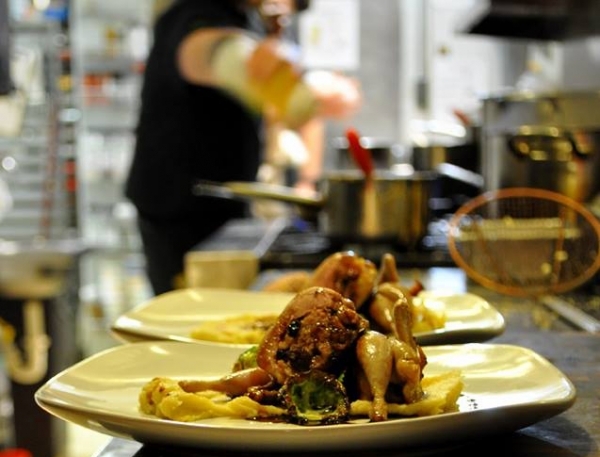 After you’ve spent time perusing the stores, you’ll need to fuel up on a good meal — choose from delicious options at Spring Street Cafe, Goodfello's Pizza, Pasta & Grille or ShuBrew: Handcrafted Ales & Food followed by dessert from Carol’s Pastry Shop. So next time you’re out looking for a special gift or need a new addition to your wardrobe, visit the quaint town of Zelienople for great treasures you won’t find just anywhere.